One way to celebrate St. Patrick’s Day is with (artificially) green-colored food and drinks: green beer, green eggs, green cupcakes, green milk…and the list goes on and on. This makes for some fun-colored eggs in the morning, which probably contain chemicals, and I’m pretty sure I don’t want to eat green gravy. Instead, how about making food green by injecting green healthy foods into the dish? I definitely want to wear and eat something green on St. Patrick’s Day, so I looked around for some fresh, green-injected recipes. The most surprising one? This Piña Colada Green Smoothie above, made green by adding a cup of fresh spinach, along with other typical ingredients you find in a healthy smoothie. Chopped kale works too, and it has the most nutrients per calorie of any vegetable. I tried it out at home ahead of time (I certainly don’t want to disappoint green beer lovers with veggie-tasting smoothies) and was most pleasantly surprised. The smoothie tasted fresh, light and fruity-coconutty just like a piña colada should. There was not even a hint of that secret healthy ingredient that turned it such a gorgeous shade of green: spinach. I used freshly squeezed orange juice, fat-free yogurt and no-sugar-added Carnation Instant Breakfast (or Aloha protein powder, it’s my fave). With all the nutrients from this as well as the banana and pineapple, I could drink this green delight for breakfast every day. PLACE Carnation Breakfast Essentials Drink, pineapple juice, pineapple, spinach, yogurt, banana, coconut and ice in blender; cover. Blend until smooth. I also tried this Tropical Avocado Smoothie, shown above, using avocado, lime and fat free evaporated milk. Now I love avocado so much I can find a place for it at every meal of the day, but I’ve never had avocado for dessert (combined with sugar and served as a sweet). This would be interesting. Well, I loved this smoothie even more! I couldn’t believe how rich and creamy it was, almost like ice cream, and so pretty. I didn’t know sweetened avocado was so good – and I used less sugar than called for in the recipe. 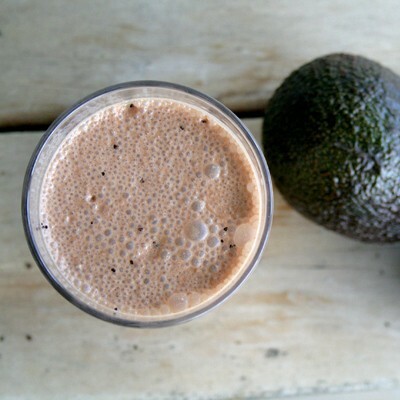 In my opinion, this smoothie is just another delicious way to work more avocado into my diet. So I’m set for fresh green drinks throughout the day tomorrow. And I even found this green-food-injected Green Eggs & Ham recipe, so I can still get my eggs “green” at breakfast. PLACE avocado, evaporated milk, sugar and lime zest in blender container; cover. Blend for 30 to 45 seconds until smooth. SERVE in tall glasses. Top with crushed ice, if desired. NOTE: If a thinner drink is desired, blend in 1 cup ice cubes with drink ingredients. I once attended Christmas Eve Mass in an old cathedral built in the 1100s in Lausanne Switzerland. What I loved the most about this was the musty, mystical feel of the church filled with villagers in the cold night, the fact that I could understand much of the sermon in French, and the vin chaud (mulled wine) they served everyone at the end. Being a new wine drinker, I’d heard of mulled wine but never tried it. This “warm wine” is heated and steeped with spices like clove, cinnamon and anise and then served hot, steaming with fragrant spices. It tasted like Christmas in a glass, but also of the vineyards. It was heaven. And I was drinking it in the perfect place. 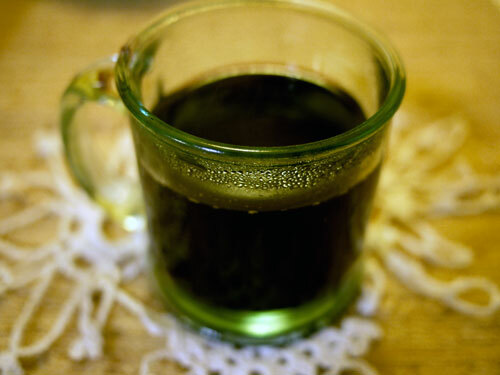 I found mulled wine all over Europe during the holidays and through the cold winter months. It reminds me so much of winter holidays that I now make mulled wine at the end of every year, and into the new year too. I like to make it with local wines, especially young table wine and freshly-ground nutmeg to keep the experience original. For a more modern, fusion vin chaud you can use white wine (making it more cider-like), add different combinations of fruit juices, grate fresh ginger into the mix and experiment with herbs to create different flavors. Make your own unique winter concoction and settle in for the winter. Sounds good to us! Excerpt below is from June 2012 issue of Cooking Light. Nothing says “escape” like a creamy, ice-cold piña colada: cocktail in hand, feet in the sand, music in the background (hopefully not that dreadful piña colada song, the last #1 hit of the 1970s, unless it’s a guilty pleasure). Unfortunately, nothing says “better head to the gym” like a piña colada, too: 425 calories, 8 grams of saturated fat, most of which comes from the mysterious goo known as cream of coconut. We’ll show you how we kept the vacation-worthy flavor while slashing fat and calories. At just 158 calories, it’s all pleasure, no guilt. We make our own infused coconut milk to replace heavy, sugary cream of coconut. 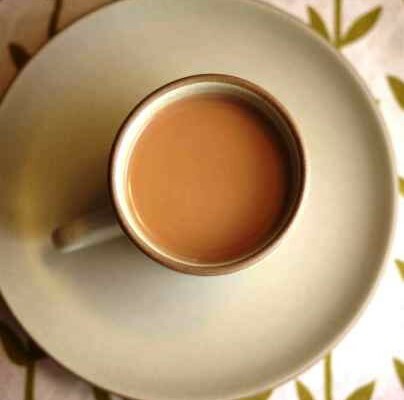 This cuts 176 calories and 8 grams of sat fat per drink. Save day-of prep time by doing this step (step 1) the night before. Pineapple peaks in summer; it’s sweet, slightly tart, and juicy. Sub fresh fruit for some of the canned juice and save 44 calories per drink. A splash of juice adds more acidity. We opted for the darker variety, with its hints of caramel and molasses, which better complement the creamy coconut and tart pineapple. 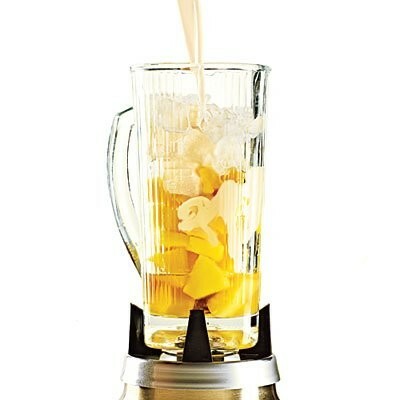 Freezing the pineapple adds a velvety texture and keeps the cocktail frozen longer. The riper the pineapple, the more concentrated the flavor will be. Get the recipe here. You may remember from previous posts that I love a little herb in my desserts – well, I also love a little herb in my drinks. Especially basil. And cilantro. And rosemary…ok I love them all. Give me a fennel-infused bloody mary with a touch of cilantro plus all the fixins and I’m a happy girl. I was an equally happy girl when I found these easy summer cocktail and drink recipes: one uses limoncello and basil and the other uses wine and sparkling orange mineral water. Both can be made by the pitcher for groups and parties, and you can always infuse your own personality into the drink – as I found out at a recent wine cocktail aperitivi party on California’s central coast. For the Limoncello Basil Cooler pictured at top, you can easily follow the recipe; it’s oh so refreshing after a long day. Or, to create a South of the Border version, use 1 part margarita mix and 1 part dry white wine instead of limoncello, add fresh lime and lemon juice, and replace the basil with cilantro. You can even add a dash of Tequila! Oh Summer Cocktails how I love you all. MUDDLE or smash 1/2 cup basil with 1/4 cup limoncello with a wooden spoon in a large pitcher. Add remaining limoncello and sparkling water. FILL glasses half full with ice. Top with limoncello mixture, holding back bruised basil; garnish with basil sprig. 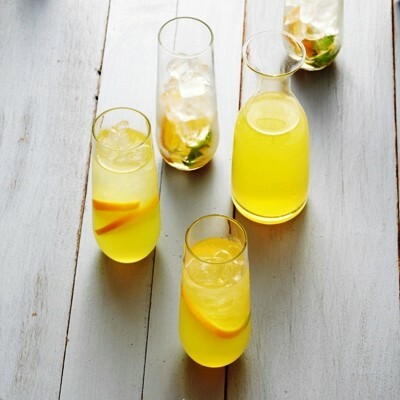 MUDDLE or smash ½ cup basil with ¼ cup limoncello with a wooden spoon in a large pitcher. Add remaining limoncello and sparkling water. Another super easy crowd pleaser is this recipe for Fruity White Wine Spritzers. These take no time to put together if you just follow the recipe (a little bit hard for me!) OR you can really go crazy substituting your favorite fruit, juices and herbs to get something totally unique. COMBINE wine and San Pellegrino in pitcher. PLACE orange slices and mint sprig in tall glasses; fill glasses half full with ice. Top with wine and San Pellegrino mixture. Today is National Hot Chocolate Day! A small holiday I know, but since I love chocolate and the nights are cold, I wanted to celebrate. I found this recipe for Hot Cocoa + Pumpkin, and it gave me an idea for adding something a little spicier: ancho chiles. Ancho chiles are dried poblano peppers and are very common in Mexican cuisine, and I easily found whole ancho chiles in my local Hispanic market. Ancho chiles are not hot, but give food a fuller, slightly peppery flavor with a hint of smoky sweetness. To infuse the chiles, chop one large chile and place in a sauce pan. Pour 1 cup of boiling water over the chiles and cover with lid. Let chiles steep for 5 minutes, then pour through a sieve into a mug. Add hot chocolate mix and 1 tablespoon (or more) half and half. Infusing hot chocolate with ancho chiles was easy! This combination of chocolate and spice would also be great with the addition of coffee (for the morning) or pumpkin (for extra fiber and nutrients). I’m also thinking it would make a sweet-and-spicy, cold-weather treat for my Valentine…steeping and steaming my way into his heart.